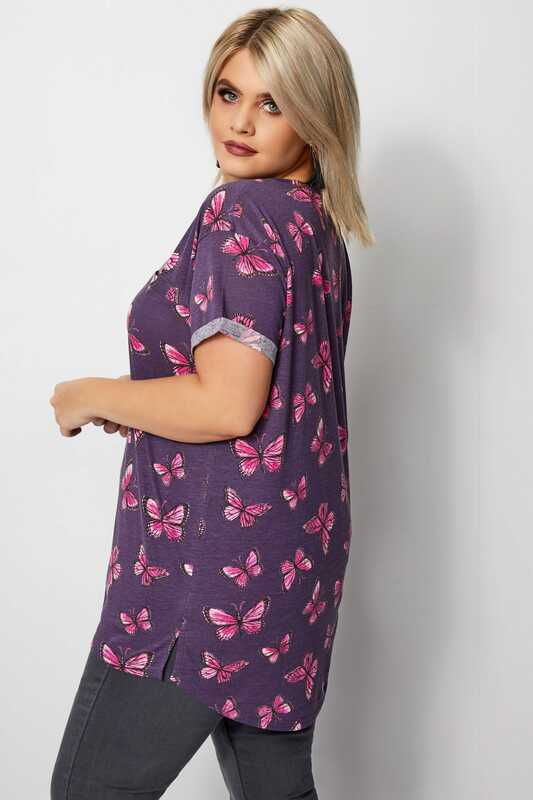 Front length from (approx): 74.5cm/29"
Back length from (approx): 82.5cm/32"
This casual t-shirt will brighten up your everyday wardrobe. 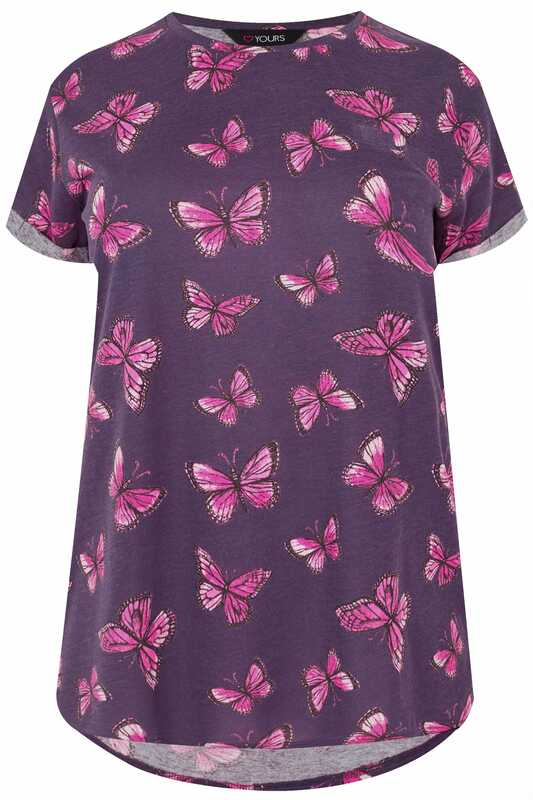 A classic style updated with a bold butterfly print, it is finished with a mock pocket and fold over sleeves. Just pair it with jeans for a look that wont go wrong. 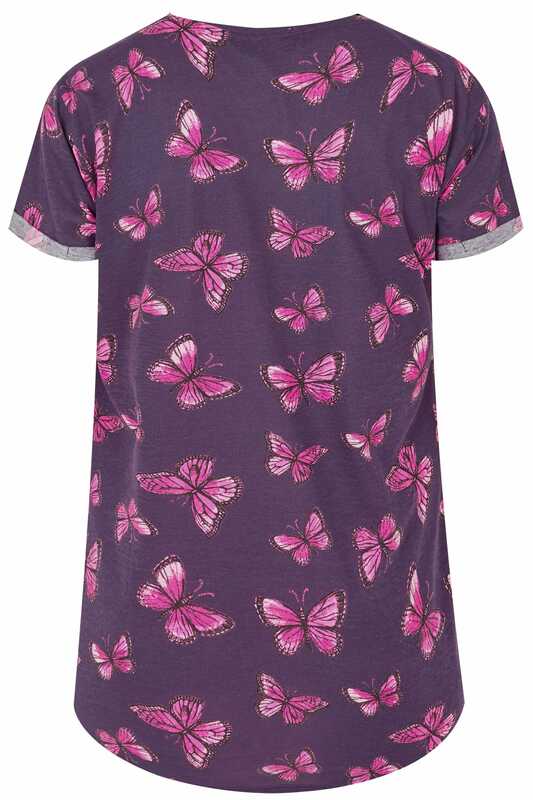 Splashes of pink and purple will freshen up your wardrobe.